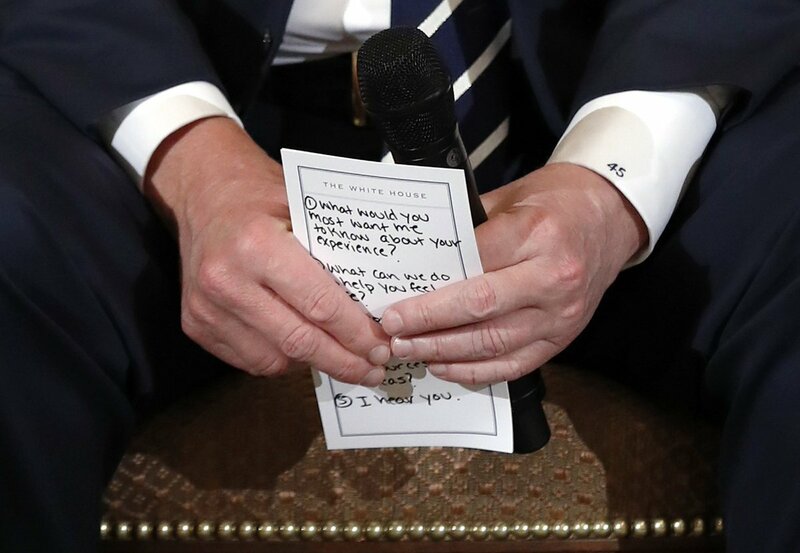 Photographers captured Trump holding a cheat sheet with empathetic things to say that was written for him by White House staff for his meeting with Parkland school shooting survivors and families. He did not write the questions. The Orange Clown does not have a genuine original thought.